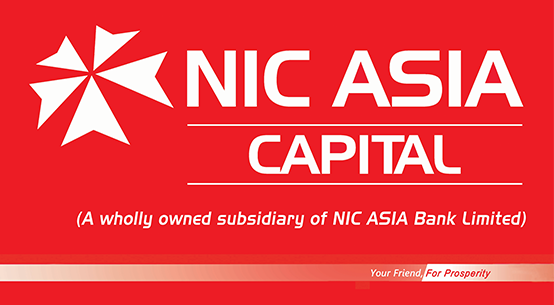 NIC ASIA Capital Limited, a wholly owned subsidiary of NIC ASIA Bank Limited, is an emerging merchant bank in Nepal. The Capital seeks an application for the position ‘of Chief Executive Officer (CEO) from highly motivated, dynamic and result oriented Nepali citizens having a proven track record in capital markets and investment banking. The incumbent shall be responsible to formulate and execute the Capital’s annual operating plans guided by the long term strategies with an aspiration to catapult the capital into a top tier investment banks. • Master Degree in the field of Management/Accountancy/Economics. The candidate with CA/ACCA/CPA/CFA preferred. • Minimum 7 years of work experience in banks or financial institutions or capital market of which a minimum of 3 years must be in a managerial capacity. • Candidates with exposure/experience in the related field in foreign capital Markets/Investment Banking are preferred. • Highly confident, dynamic, thorough, pragmatic, and intuitive. • Thorough knowledge of Nepalese Capital Markets, Banking Procedures, Financial Research and Analysis Portfolio Management, Mutual Fund, Treasury Fund Management, Risk-Return Analysis, Securities Trading processes and other Investment Banking Procedures. • Proactive leadership skills, strong interpersonal skills and able to develop and maintain successful long term business growth for the company, coupled with the ability to anticipate trends and access new opportunities as they arise. • Excellent organizing, analytical and problem solving skills and ability to think strategically. and communicate effectively. • Excellent oral and written communication skills both in English and Nepali. Interested candidates matching above requirements are highly encouraged to submit their updated resume and covering letter at hr@nicasiacapital.com or in an envelope marked with “Application for CEO” to Human Resource Department of NIC ASIA Capital Limited, Babarmahal, Kathmandu, Third Floor, Siddhartha Insurance Building no later than 27 September 2018 within business hours. Only shortlisted candidates will be called for further selection process. The Capital reserves the right to accept and reject any application without assigning any reasons whatsoever. The decision of the Capital shall be final and binding to all the applicants. Job Categories: Banking/ Insurance/ Financial Service. Job Types: Full-Time. Job Tags: EJOBS, ejobsnepal, High Paying Jobs Nepal, Jobs in NIC Asia Capital, nepalijobs, and NIC ASIA CAPITAL. Salaries: Negotiable.